Blue Vim 10 ML E-Liquid from Inspired Vapour is a mouth watering and refreshing E-Liquid that combines a delicious mix of Fruit that tastes just like that fizzy drink that we all love. 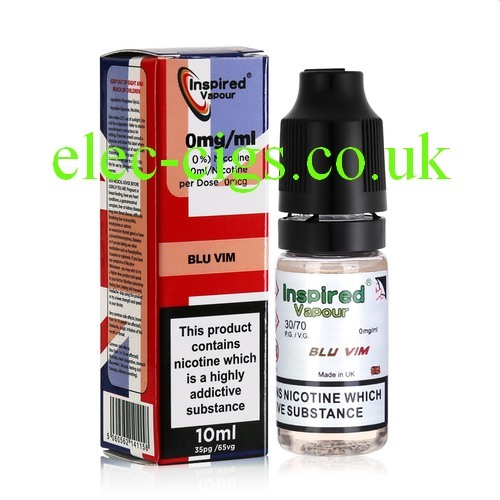 Blue Vim 10 ML E-Liquid from Inspired Vapour is nominally a 70-30 (VG/PG) mix but this can vary by up to 5%. The available strenghts are Zero mg nicotine, 3 mg nicotine, 6 mg nicotine, 11 mg nicotine and 18 mg nicotine.